Of all the waist-whittling exercises out there, ones that target your oblique muscles will zero in on this area. A general rule to keep in mind: Any move where you’re reaching to the side works your obliques. But incorporating ones that also hit your upper and lower abs will more effectively sculpt and slim your entire middle section. “Your core works as one complete unit,” Stokes reminds us. Here, she shares her favorite exercises for getting rid of the extra padding around your middle. //Love handles: nobody likes them, nobody wants them. But how do we get rid of them? The following exercises make for a great workout routine to target those stubborn love handles. 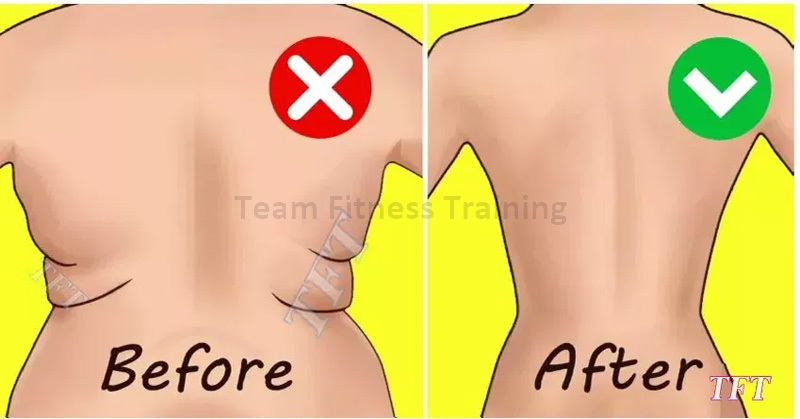 After doing this routine consistently, eating clean, and doing 30 minutes of cardio three times weekly, you’ll soon start to see those love handles disappear! No special equipment is needed for this routine. What to Do: Perform 15 repetitions of each exercise (15 on each side or leg). Complete the number of rounds indicated for your fitness level. Complete the routine below 3 times per week on non-consecutive days for optimal results. Beginner Workout: Complete two rounds. Intermediate to Advanced Workout: Complete five rounds.